You probably already know what a podcast is. It’s a lot like a radio program, except that it is available on the computer for download, rather than over the airwaves. The format can be any style you prefer. Some popular choices include the host giving out some tips on a certain topic by themselves, or an interview style, where the host asks a guest various questions. You can earn money from a podcast several ways. You can use a podcast to promote your own products, products you are an affiliate for, as well as earning money from sponsorships and advertising. Services such as Audio Acrobat makes it very easy to start a podcast. 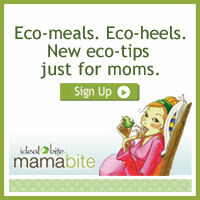 (This is the service we use to host Natural Moms Talk Radio.) Audio Acrobat allows you to record audio using a phone or an internet microphone. There is a monthly fee associated with this service, but in return, Audio Acrobat will store the audio files for you and they make it very easy to share your audio with others through iTunes and online web players. If you are going to have a conversation with someone, you can call them for free online if you are both Skype users, and record the call using a service called Pamela. You will need a microphone headset to do this, but you can find one for an affordable price. Those that use WordPress for their blogs and websites, have the option of using a plugin called podPress to share audio files. This plugin helps you install web players and update your podcast feed. If you choose, you could even create a premium podcast where your subscribers would need to pay to listen. There really are so many options to podcasting, you are only limited by your own imagination. If you want to learn more about the ins and outs of podcasting and how to make money from your podcast, check out the Moms Talk Biz Guide to Podcasting and Internet Radio.